Husky fridges are the centrepiece in any kitchen. They look great and come in a range of styles to suit all tastes from classic coca cola mini fridges to classy wine coolers that would be at home in a trendy bar. A Husky fridge will take your kitchen to the next level. If you’re having a dinner party, Husky wine coolers will keep your wine at the optimum temperature and your guests will be impressed when they see how good your Husky fridge looks. Each Husky fridge is engineered for maximum efficiency and features an adjustable temperature range, so when it comes to serving time, your beer, wine or soft drinks will always be exactly how you like them. Storing wine at the right temperature is essential, and a Husky fridge is a perfect way to ensure your wine is ready when you are. 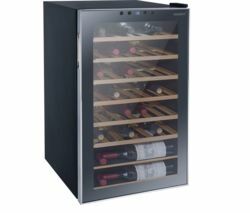 You can store red and white at the same time in the Husky HUS-CN215 Wine Cooler that’s available in a classy Black or Silver finish. If you’re looking for something a little more traditional, check out our selection of Hotpoint Fridges and if you can’t find something you like there, or you want to see some more luxury fridges, take a look at our collection of Smeg Fridges. 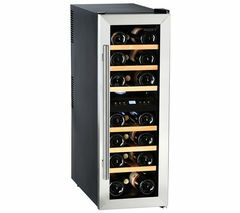 When you want to keep soft drinks, beer and wine at the optimum temperature, a Husky fridge is ideal.